To celebrate the new season on the water, the Deer Park fishery on the river Otter is holding a FREE bankside open day which is open to all, whether you are a fly fisher or someone who is looking to get into the sport. Join us on the hotels 3 miles of the river Otter to see what the fishery has to offer, walk the bank or bring your kit and have a complimentary fish. Our fishing school instructor Neil Keep will be on hand to talk all things fly fishing and show you around. Get a free casting tune up with Neil who will be happy to pass on any tips and techniques for fishing the river. 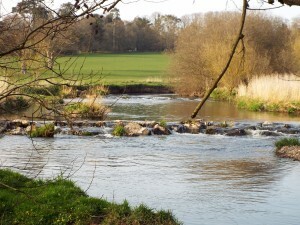 There will also be some on the water demonstrations in modern nymph fishing techniques and river fly casting. Along with all this there will be the latest range of Marryat river rods for you to try out and maybe even some bankside fly tying if the elements permit. 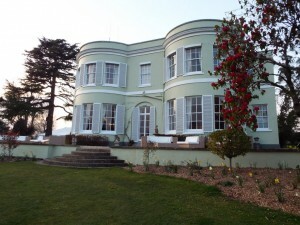 A short walk from the river bank will see you at the splendid Deer Park Hotel which will be open for lunch and refreshments throughout the day and if the weather permits there will be an afternoon barbeque on the bank. On arrival please park in the hotel car park and walk down to the river where you will find us set up on the river bank, if you are unsure please pop into the hotel reception and they will point you in the right direction. This entry was posted in Blog posts, Fly Casting, Fly Fishing, fly tying and tagged browntrout, devon, fly casting, fly fishing, fly rod, fly tying, marryat fly rods. Bookmark the permalink.